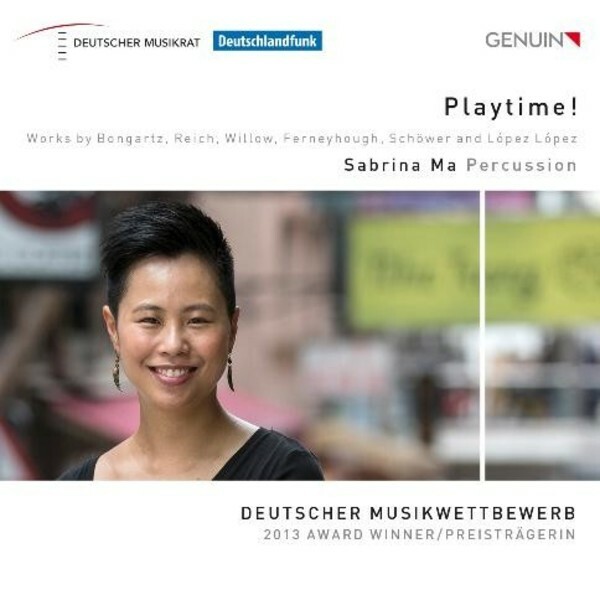 This recording does not simply feature a young percussionist offering a virtuoso materialistic battle on her debut Genuin CD but instead creates a cinematically strange new world: bizarre illumination, enchanting cicada sounds and rattling bones await the listener in Sabrina Ma's 'Playtime!'. The winner of the German Music Competition is presented on this Primavera CD series as a mature, imaginative artist. Works by the great contemporary composers Steve Reich and Brian Ferneyhough are offered as well as music by lesser-known artists, including world premiere recordings composed especially for this recording. A mixture of styles that goes off the beaten track, brilliantly played!